(News Investigators) /Bayelsa journalist, Jones Abiri, has sued the federal government over his recent prolonged detention without trial by the State Security Services (SSS), demanding for N200 million compensation. 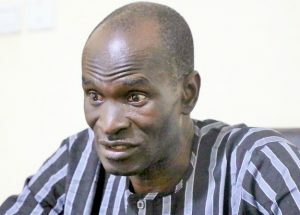 Mr. Abiri was recently granted bail after spending over two-years in detention. The journalist, in an application filed by his lawyer, Femi Falana on Monday at an Abuja Division of the Federal High Court submitted that his long incarceration violated his to personal liberty, human dignity and fair hearing. Mr Abiri is asking the court to compel the SSS to pay him for the flagrant abuse of his rights and torture during his detention. The matter has been adjourned till September 3 for further hearing.